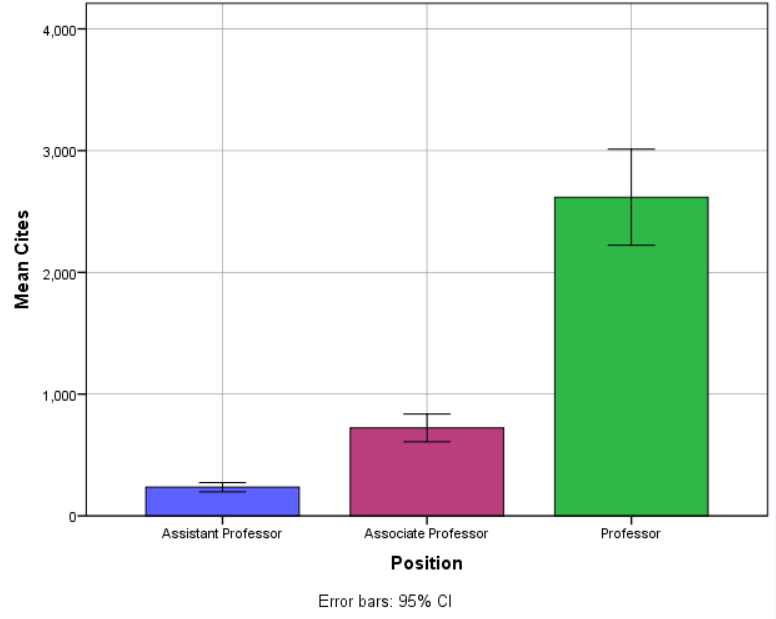 Using the most recent data for urban planning scholars (end of 2018), we see a distinct difference in citation totals between assistant, associate, and full professors. This comes as no surprise and I’ve previously reported on it but just wanted to show off the freshest numbers. Reporting means versus medians has been discussed elsewhere in my blog, so dig around. Check out the comparisons below for assistants (mean of 235), associates (mean of 722), and full professors (mean of 2,617). These are up from 2015, as you can see here. More analyses on the way. Your comments and suggestions are welcome.